LAS VEGAS – Dec. 6, 2017 – PRLog — TRICCAR Holdings, Inc., aka, TRICCAR, today announced initial test results of its first nutraceutical dietary supplement to combat obesity. 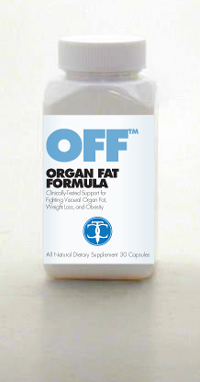 A 60-day double blind study of the Company’s Organ Fat Formula resulted in an average weight loss of 21 pounds. “OFF may be the ‘magic pill’ weight loss solution millions of people have been seeking,” said Townsend. “One capsule of the dietary supplement is taken orally upon waking with 6 ounces of water, making it one of the easiest obesity treatments ever introduced in non-prescription form. The Company plans to expand the double-blind study in early 2018 to include over two hundred subjects to determine whether efficacy rates are replicated. It hopes to release of the product to the consumer market by summer 2018. TRICCAR is a Las Vegas, Nevada-based pharmaceutical and nutraceutical company targeting the world’s most devastating diseases including obesity, cancer, pain, diabetic neuropathy, and trigeminal neuralgia. If you would like more information about this topic, please email media@triccar.com.